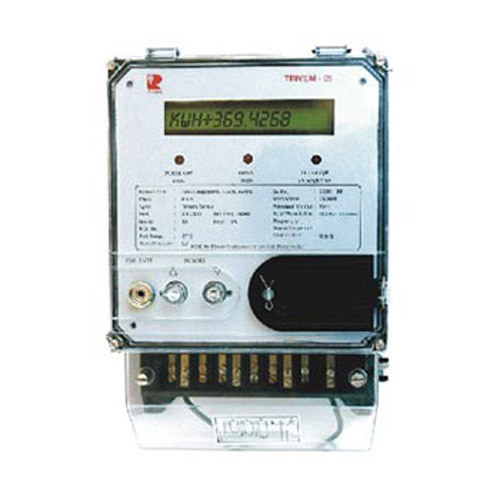 HPL has introduced its state of art trivector meters. These are capable of measuring active energy (kwh. ), apparent energy (kvah), reactive energy average power factor along with other parameters and features. Backed by our significant experience in the industry, we are in a position to offer our customers remarkable Electrical solutions. Being in the market for years, today we stand as a One roof solution for all electrical needs. Our product line entails Switchgear and Control gear, Cables, HT material, Capacitors, Lighting , Bus trunking and Control Panels. We also offer PVC Pipes, Modular Switches, Transformers and Wires. Owing to the meticulous production, our products are in compliance with the specific norms of the electrical industry. We also offer our products in customized specifications at reasonable prices. Our sampling facilities aid our clients in making the right choice. We are known for best services and products that have High Functional Life, Durability, Reliability and Peak Performance. To get an extra edge in the competitive market, we have a strong team of trained professionals available to serve our customers. The required personnel are hired, trained and a balanced constitution of our team is done. Hence, we enjoy the support of some of the recognized expertise from the domain. With their support, we ensure to complete the orders and timely deliver the same to you. Our customers are given consistent attention and all queries are solved in a professional manner. We have a number of corporate companies as our esteemed customers.